Cookie hasn't rested on that success, and instead continued testing and developing new ideas for the next full face helmet, which has now been showcased with the G4 release planned for June or July of this year. G3 & G4 parts, such as visors, visor locking plates and springs, are not interchangeable between the two helmets. As of right now, Cookie is not taking any orders. But as soon as they are accepting orders, we'll announce it here and turn on the ordering link on ChutingStar.com. 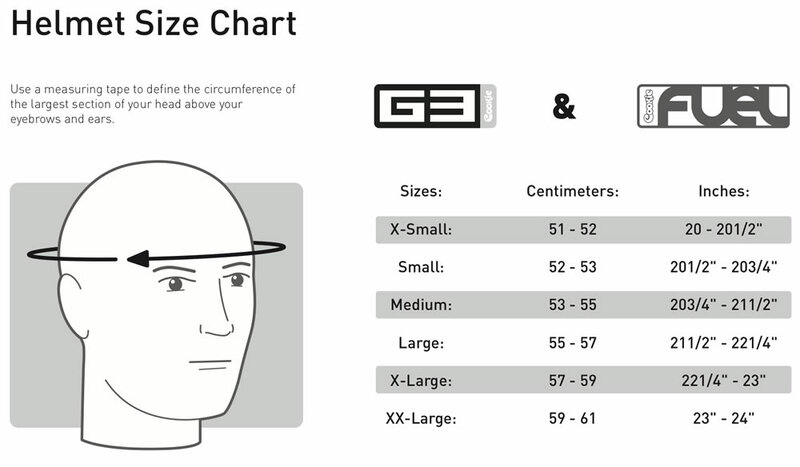 The sizing chart has been released below, and I've added the current G3 sizing chart beneath it so you can see the difference. 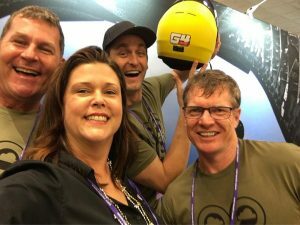 Check out these two videos from Zach Lewis that he did from the Cookie booth at PIA to get a closer look at the helmet. Pricing on the visors and side plates have not been determined as of yet. The G3 is still the company's main helmet, and will continue to be produced through at least the release of the G4. The G3 will continue to be sold after the G4 is released until the stock is gone at Cookie and all dealers. There are no plans for a price reduction on the G3 helmet. Parts, such as visors, side plates, springs and the like for the G3 will continued to be manufactured and available. We'll be updating this article as we get more info, so check back for the latest news on the G4. And we'll also post updates as we get them to Facebook or Instagram. And then to order any current Cookie helmets or accessories, click this link to the Cookie section on ChutingStar.com.